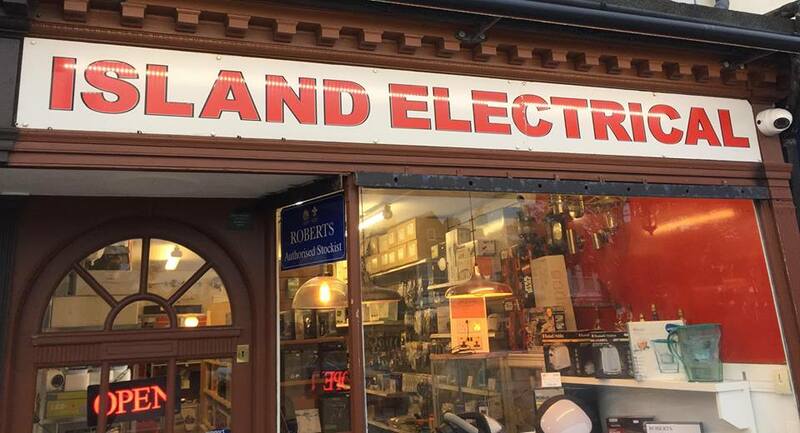 Island Electrical is an independent electrical retailer and engineering service that has been serving the local community for over 20 years. At Island Electrical, we supply and install everything electrical. We have over 10,000 product lines in store, from batteries and bulbs to microwaves and vacuum cleaners; kettles and coffee makers to hairdryers, curlers and straighteners; slow cookers and hand blenders to telephones and headphones; night lights and security lights to audio, USB and video leads, connectors and adapters. We also stock a wide range of supplies for the working electrician, from installation accessories and cable to conduit and consumer units. Error: Error validating access token: Session has expired on Sunday, 31-Mar-19 16:27:07 PDT. The current time is Thursday, 25-Apr-19 18:48:18 PDT.